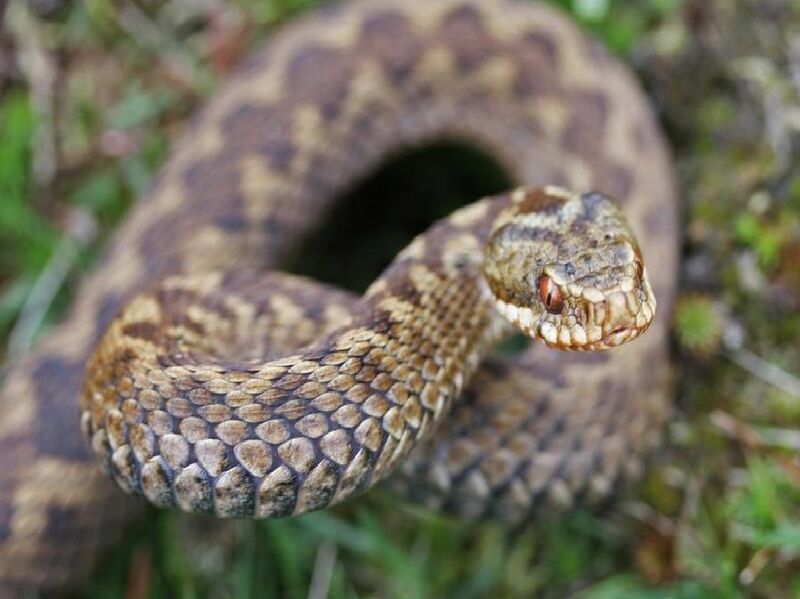 The common European viper (also known as adders) can be found right across mainland UK, is usually about two foot long and has a venomous bite. Watch out! Smooth snakes are comparably rare, though they are most likely to be found in Devon, Dorset, Hampshire, Surrey or West Sussex. Thinner than adders and with no venom. The grass snake favours habitats close to sources of water and can swim well. This non-venomous snake is the largest snake native to Britain. These could be found in London or North Wales neighbourhoods, feed on rodents such as rats and are also non-venomous. Phew.